Two Fashionistas, One Fringe Dress. Who Rocked It Better? 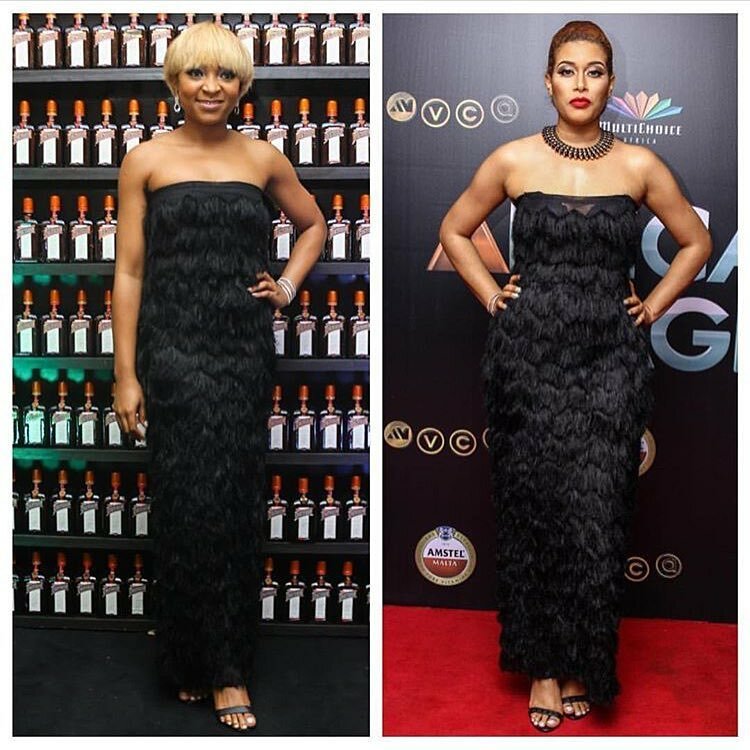 Between these two beautiful fashionistas, Sharon Ojong and Adunni Ade, who do you think rocked the black fringe dress better? 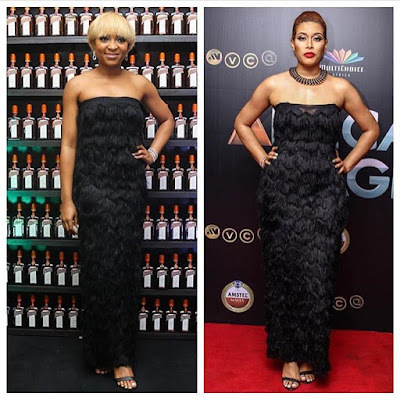 I would go for Adunni Ade's look. Most times we tend to underestimate the power of a statement jewelry. She combined her own dress with that beautiful statement jewelry and everything else changed, it made her outfit stand out from the other one. But I believe Sharon Ojong's hairstyle prompted her not to wear a neckpiece, because it would have been inappropriate. Labels: WHO WORE IT BETTER?